This Elevation Designs dress is a combination dress and jacket worn by a world champion. 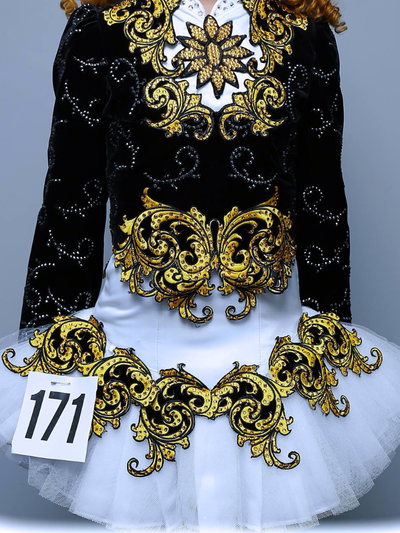 It is a sleeveless white satin dress with a tulle skirt and a luminous gold Celtic design adorned with gold Swarovski diamonds. 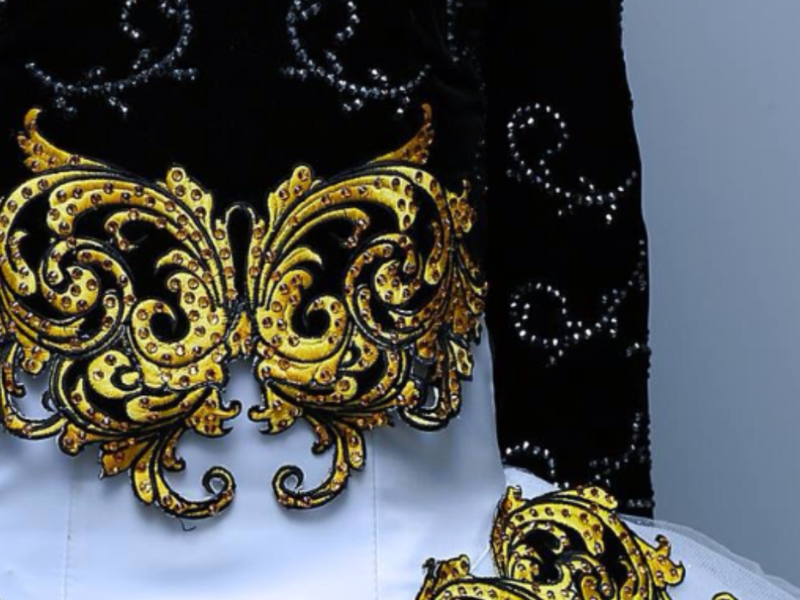 The jacket is black velvet covered black Swarovski diamonds. The neck-line and the bodice is also a luminous gold Celtic design and gold Swarovski diamonds. 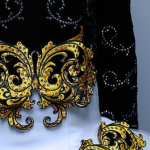 The cuffs of the jacket are white satin again with the same gold Celtic design and gold Swarovski diamonds. There is let out and also let down available in this dress. Asking Price: £850 negoitable. Shipping costs are not included in the asking price. Returns are negotiable.